A new report on hunger in America has been released by Feeding America and the findings are sobering, to say the least. As we justifiably feel increasingly confident about the state of the economy as it continues to emerge from the Great Recession, it is healthy to remind ourselves just how much need is out there, and this report hits the nail on the head. 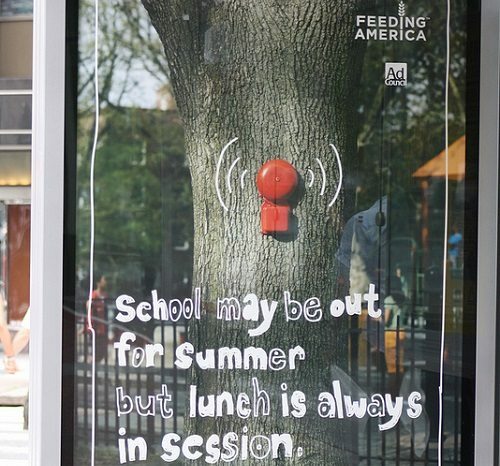 Feeding America is a system of organizations around the country established to receive, catalogue, and distribute donations of food to food-service programs such as food pantries or meal programs. Feeding America also provides funding for its partner agencies as well as some technical support and research on hunger. The report is the result of data collection conducted mostly in 2013 from 12,500 food programs in the Feeding America network and 60,000 clients. The information contained in the report, “Hunger in America 2014,” suggests that hunger in America is changing and startlingly pervasive. In many cases, the people being served will surprise you. For example, 20 percent of households served have at least one family member who has served or is currently serving in the military; we are not taking care of people who have put their lives on the line. The Feeding America network serves 46.5 million people every year. This means that 1 out of every 7 Americans is in need of some help getting the food they need. The network serves 12 million children and 7 million older adults each year. This does not even account for the young people served in children-only programs where the clients being served are kept protected and anonymous. These are the most vulnerable people in our society. The median annual income of households served in the network is slightly more than $9,000. A related statistic is that 72 percent of households served are below the poverty line. This is a particularly shocking number, since the federal poverty line for a family of two is $15,510; for a family of four, it is $23,550. More than 40 percent of households served report having at least one family member with education beyond high school. As a related statistic, a vast majority—93 percent—report they are in stable/permanent housing or housing that has the potential to become so. It is not an uneducated, transient population that is being served. Most households served have to make choices between spending money on food or spending it on another basic need: 69 percent report choosing between food and utilities, 67 percent between food and transportation, 66% between food and medical care, 57 percent between food and housing. The number of people and organizations pitching in as part of the Feeding America network around the country is heartening and saddening at the same time. Nearly 2 million volunteers provide 8.4 million hours of help every year. It is heartening to know that so many people care and are willing to get involved. It is saddening that so many people have to.